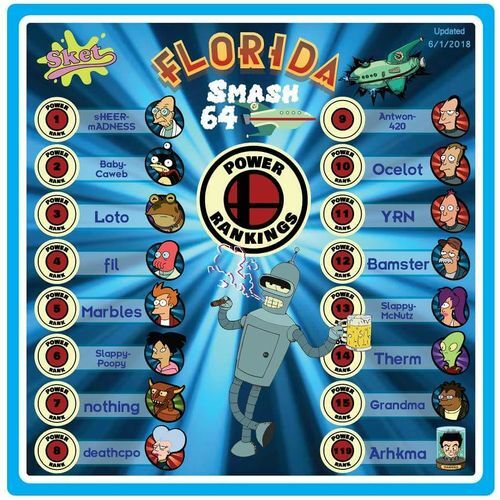 The following lists the Power Rankings in Florida of Melee, Brawl, Project M, Smash 64 and Smash 4. 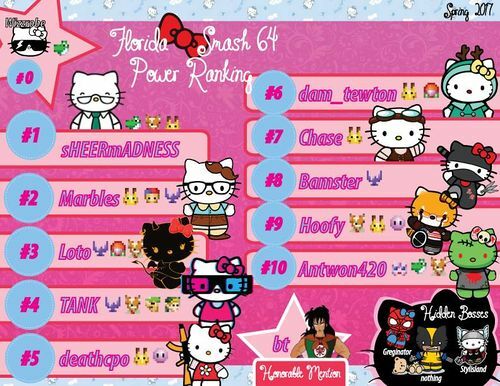 Due to Florida's size, some rankings have been split in to three PR's: Central Florida, South Florida, and the collective state. 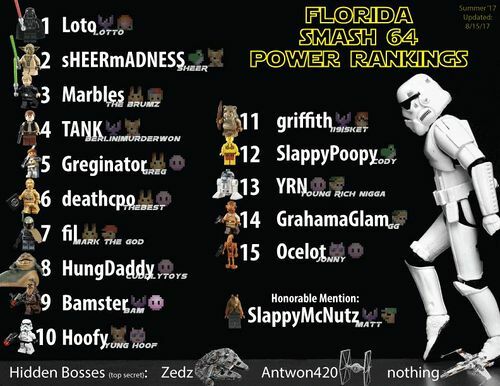 These Power Rankings were created using a points system devolped by Florida's BluEG that was agreed upon by a majority of Florida smashers, including the likes of Hungrybox, Plup, Colbol, Blea Gelo, zerothetheif, JRad, Ranch and Rula. 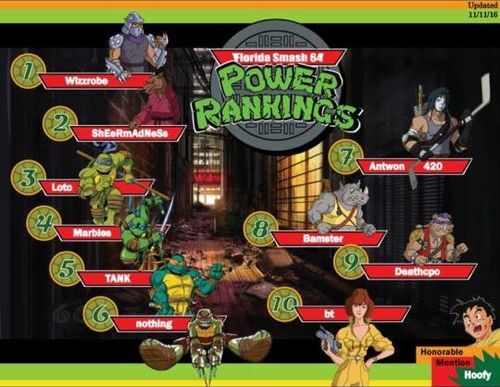 These Power Rankings were created using a points system devolped by Florida's BluEG that was agreed upon by a majority of Florida smashers, including the likes of Hungrybox, Colbol, and Rula. 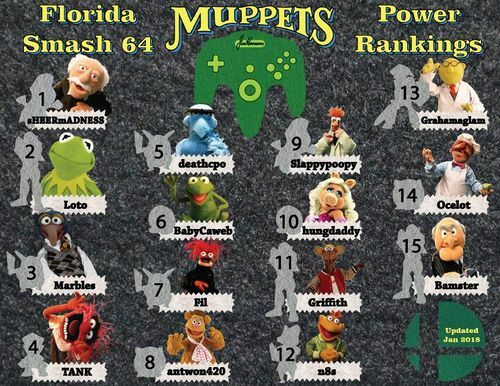 These Power Rankings were created using a points system devolped by Florida's BluEG that was agreed upon by a majority of Florida smashers, including the likes of Hungrybox, Plup, Colbol, and DaShizWiz. 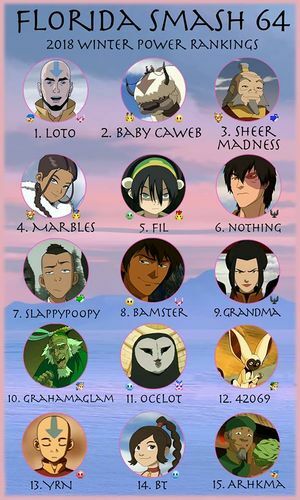 These Power Rankings were made by Colbol as an approximation of skill in the Florida Melee community, as there have not been any new rankings since 2007. The editor who added this tag elaborates: Many past power rankings missing. This page was last edited on March 21, 2019, at 13:48.